*If you missed Part 1 and need to catch up, click here. Moving on down the road, several years later I found myself with a lot of time on my hands. Our family experienced a painful and swift breakup within our circle of friends. The calendar I made sure was consistently full of dinners together, play dates, and morning coffees was now painfully open. My phone stopped ringing. There were no discussions on where to meet for lunch or carpool challenges to get us and all of our kids somewhere. Quiet. The one thing that I had worked so hard all my adult life to avoid had become reality. My greatest fear, the fear of rejection, had been dropped squarely in my lap and there was nothing I could do about it. True to my insecurity I tried to “fix” it, but the harder I tried the worse I made it. Eventually had to accept the fact that I had been rejected. The brokenness and self loathing I’d lived with for so long was now justified. This was the affirmation that I never deserved any of the good I had experienced. It had finally caught up with me and pressed down on me to the point I thought I would break. Around this time I was listening to the radio and heard on my local Christian station a woman whose voice was infectious and full of life. 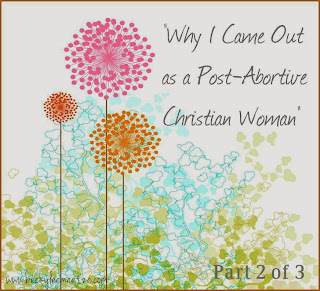 As I zeroed in on the interview I heard the word post-abortive. After I caught my breath, I began to listen to her story of redemption and restoration. I even heard happiness and joy in her voice! I had never really known how to label myself, but as I listened she was telling MY story. I couldn't believe there was another woman “out there” like me. But, bless her heart, she was talking just like anyone else. 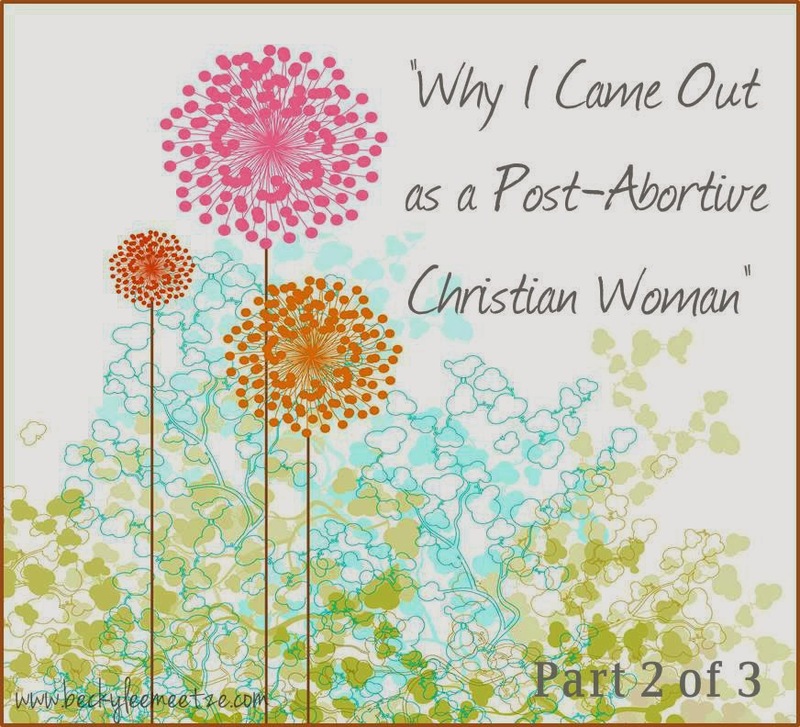 As the interview went on I discovered that she had a post-abortive ministry! What?! I went straight to my computer and sure enough, there it was. That day began a series of communication that led to a friendship that led to a Bible study that changed my life. There are too many details to share here, but I had no doubt that God placed my new friend in my life at that particular time. She and I actually began scrapbooking together (love to scrapbook) every week or two for about a year, and she and I would meet at my house to “work”. However, what was really happening was God using her to mentor and pour into me the truth of His word. You see as I can look back now, the relationships with my circle of friends was not bad in itself. But because I used those relationships for my constant distraction, I’m convinced the Lord removed me so I would be open for this gift of restoration He was preparing. I would have never made room for that otherwise. Yes, the breakup was painful, and yes, sorting through my “mess” was painful and slow! But, as believers, when the rug is pulled out from under us we have to choose how to move through it. God does not forsake us, but sometimes He does have to re-order our lives so we can/will listen only to Him. I knew that I had repented of my “sin” and that God had forgiven me, I just could not “forgive myself”. We hear that term frequently in our culture & I totally owned that mindset. It somehow felt like an adequate penance to carry around. But the truth is, the Bible says nothing about forgiving ourselves. As I dove into scripture to see how to sort through all of this, one of the most powerful truths I discovered was to not “forgive myself” was really saying to God that the work of the cross was okay for everyone else, but not for me. "My sin is too big for that," I thought. This self condemnation I beat myself with was really a lack of fully acknowledging who Jesus Christ was to me. If I could not move on from this self-inflicted spiritual and emotional isolation, I had to revisit everything I said I believed. Now, I didn’t consciously intend or feel I was elevating myself above Christ, but my years of distorted thinking had kept me from truly submitting myself to His authority. It was easier for me to internalize the condemnation piece of the gospel, but much harder to accept the grace because I didn’t deserve it and my story was so awful. That’s when it hit me. All sin is awful. All sin separates us from a holy God. I had confused the consequence of the sin with the degree of the sin. I did that – not God. Jesus died to cover my sin of abortion with the same fervor as covering the sin of omission, gossip, spinning the truth, or any other of the “small” sins. There is no high or low degree of sin. I could no longer say that I believed one part (condemnation) without also believing the part of grace and restoration. I wasn’t doing God any “favors” by holding on to my brokenness. What I was really doing was diluting what He had done for me and telling Him it was not enough! That had to sink in with me for a few days. Did I really mean that? Could I really say to God that His plan for the redemption for mankind was a sweet attempt, but that was just not going to be enough for some of us? Whitney Burrows is a North Florida girl raised on the banks of her beloved Suwannee River and Gulf Coast. 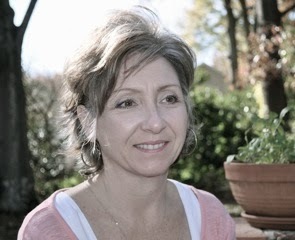 After 12 years in the world of banking, she moved into full-time- homemaker mode as mom to James and Pearce, and wife to Burges. The last 18 years have been a fun flurry of sports, meal prep, scraped knees, room/team mom, chauffeuring, and volunteering. Whitney lives for all things family, friends, southern, and outdoors. She has been extremely blessed by God’s grace and loves encouraging women to embrace the abundant life promised to us by our Savior. She believes life becomes a wonderful (but not always easy) adventure when we stop running from the Lord, listen to His voice, and trust in His call on our lives.